Fathers coming into Pregnancy Resource Centers need simple and practical advice on how to be the dad that their children need. This set of 2 modules with the DVD collection is aimed at your client base. Each lesson uses examples and advice designed for fathers who aren’t necessarily married to the mother. It addresses the real and pressing needs that a father experiences and creates a challenge to put in more effort, time, and love. The DVDs were created just for the dads in the EWYL program. The videos have the information that will make a difference and the content that will keep their attention. The result is 10 lessons, all DVD based! Each lesson is written in simple language and starts with an illustrative true story. 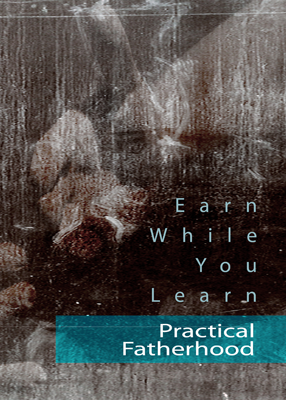 Each lesson is uncomplicated, full of encouragement and designed to challenge the client. The topics covered range from discipline to role-modeling to spending time with the family. The content includes the reasons why it is important to do what is right along with inspiration for moving beyond those difficult moments. Examples of how to apply these principles in their life can be found throughout the lessons. This series is perfect for fathers who are expecting or who already have children below the age of 18. Use this pack to teach, challenge and grow good dads into great fathers. Fathers coming into Pregnancy Resource Centers need simple and practical advice on how to be the dad their children need. This DVD collection is aimed at your client base using examples and advice that works outside the standard nuclear family model. It addresses the real and pressing needs a father experiences while making a call to a higher level of effort, time, and love. Each lesson is written in simple language and starts with an illustrative true story, followed by an easy-to-understand video, designed to keep the client’s attention. Uncomplicated, encouraging, and challenging, topics range from discipline to role-modeling to spending time with the family. It is perfect for expectant fathers and those with children under 18. 160 mins. 2014. 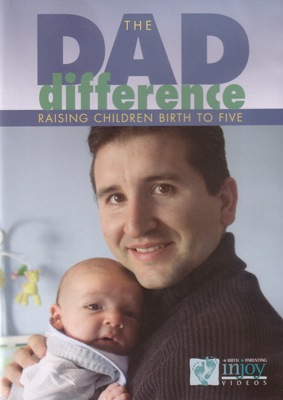 This brochure starts with the documented impact that an involved father can have on his children. It then goes on to emphasize the importance of the time a father spends with his children and spells out what makes that time valuable. To be “REAL,” time spent must be Relevant (important and interesting to the child), Expected (planned and consistent), Attentive (centered on the child), and Loving (exhibiting patience, understanding and forgiveness). The brochure is an encouragement to all fathers to make an effort to be involved with their children. Here’s the scary part. All dads are their child’s most important influence. For better or worse, there is nothing that can be done to change that. Building from that basic truth, this brochure invites the reader to ask himself, “Do I love my child?” “Is he more important than my friends?” “Is he more important than my job?” If the answers are “Yes,” then it’s time for Dad to organize his life in a way that will show (rather than tell) his children what he wants for them and how he expects them to live their lives. Every child has a deep, inborn love for his father and mother. If a child hears negative comments about his/her parents they will feel it as criticism of themselves. This brochure makes a compelling argument to fathers that saying anything bad about their children’s mother is destructive to all involved. The content is a realistic call to fathers to rise to the occasion of fatherhood and leave negative and hateful comments behind. Easily read and understood. This research-based video shows dads how to be involved with their babies from pregnancy on! The Dad Difference features a diverse group of real fathers, candid comments, and practical tips to inspire every dad to become more connected with their baby. Topics include: Dad’s vital role in pregnancy, birth, and infancy; balancing finances, work and family; postpartum blues for dads and moms; intimacy and caring for mom; benefits of breastfeeding; bonding with baby, illness, and SIDS; crying baby and Shaken Baby Syndrome, and coping with frustration. 2004. It has been said, “The most effective leaders lead by example.” The truth is, all leaders lead by example. This is true, because the “followers” are always watching but only occasionally listening. Every father will influence his children, but if he wants to be a leader, that influence must be for good. The reader learns that leaders work longer and harder; they are more responsible; they are aware of the influence they have on others and make a conscious effort always to do what is right. So, you’re the Dad and you’ve decided to take an active role in your child’s life. One order of business will be applying discipline for unacceptable behavior. In this brochure, Dad is asked, “Why should you discipline your child?” In today’s permissive society, it may be surprising to learn the answer is, “Because you love him.” When applied from a strong foundation of love and sense of purpose, appropriate discipline teaches obedience, kindness, fairness, forgiveness, and much more. This brochure combines good advice concerning the why and how of discipline with a helpful acronym for the thoughtful Dad to use as a reminder. “THINK” stands for: Take a moment and think; Hear the child; Identify the real problem; No emotions; and Keep it personal. Suggestions here include: discipline to fit the situation; discipline creatively; discipline to teach; don’t discipline “normal” behaviors; don’t make threats; don’t shame your child with degrading accusations (find a positive way to express your concern). There’s one thing about child-rearing you can be sure of — your child will test you. The worst thing a father can do is react out of anger or frustration. Situational Discipline discusses how to respond to tantrums, unacceptable behaviors, and disobedience through three easy and important steps: 1. Think, 2. Teach, and 3. Follow-Through. Also covered are strange or unusual behaviors and the questions that should be asked to discover the cause of the behavior. Easily read and understood. Children need a father who is consistently there for them. Starting with even small behaviors (not spending time, lying, making excuses) this brochure helps fathers understand the importance of doing what they say they will. It gives them a glimpse of the true importance of their promises and how they affect their children. Also covered is how to work through the inevitable failure by apologizing and working hard to make sure it doesn’t happen again in the future. This brochure offers advice to fathers or fathers-to-be on how to be good at their most important job. The text starts with, “No one can tell you how to be a perfect father. We all just learn as we go. But, here’s what experienced fathers say they would have done if they had to do it over again,” and then lists twelve items that are very important to being a father.